As the number of electric vehicles (EVs) on the road continues to increase so does the demand for charging stations. Currently there are more than 10,000 EVs on the road in Ontario alone and yet only a relative handful of publicly accessible charging stations for those vehicles. In a province as large as Ontario that can be a problem. 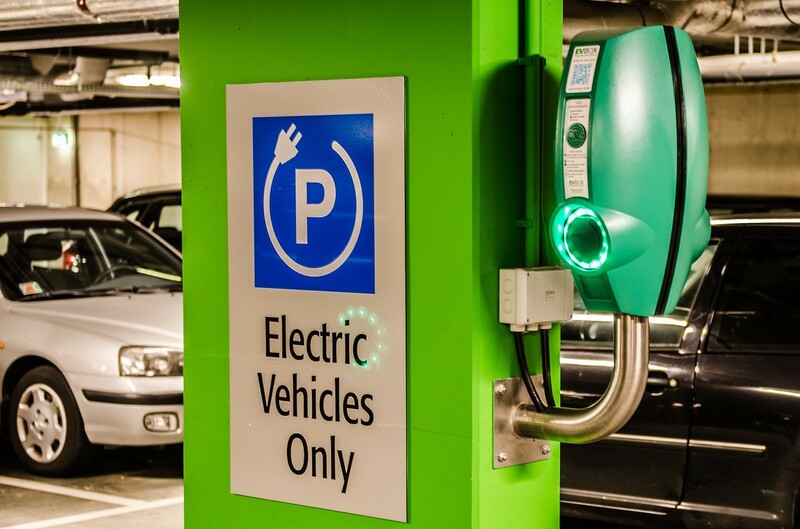 It can also be an opportunity however, because by installing EV Charging Station in your hotel car park you can attract some of those EV owners who have been looking for EV-friendly destinations as well as others willing to pay a fee to charge up at your hotel. EVdirect can help you plan and execute the hotel EV Charging Station installation that will put your facility squarely on the green map. Green businesses are on the rise – As people become more acutely aware of the devastating impacts of climate change more and more are seeking environmentally responsible ways to live and are supporting environmentally responsible businesses. Green businesses are in fact one of the fastest growing sectors of the global economy and there’s no indication that’s about to change. By installing EV Charging Station you’ll create subtle but real buzz among these environmentally conscious consumers and position yourself as a green alternative for road weary travelers. It helps set you apart – Companies spend billions of dollars on marketing in an effort to set themselves apart from the competition and in the hospitality sector the competition to stand out is particularly fierce. For a relatively modest investment hotel EV Charging Station installation by EVdirect will help you do just that. Even if many of your guests don’t yet own EVs they will still be impressed by the forward thinking nature of your business and you’re sure to get some social media love as a result. Engagement – Being able to charge their electric vehicle at your hotel will increase engagement between your guests and your facilities. Others will stop at your hotel to charge their vehicles as they pass through on business or pleasure. As they wait for their vehicle to charge they’ll get a feel for your facilities, perhaps eat something at one of the restaurants and likely make a note so they remember you on their next road trip. It’s the kind of engagement that would otherwise be very difficult to generate. Level 1 – A level 1 AC charging station is the equivalent of plugging an EV into a standard 120 volt outlet. While convenient and inexpensive to install these chargers take up to 20 hours to charge an average EV, which may be too long for some impatient EV owners. Level 2 – The level 2 charging station also uses AC current but provides 240 volts instead of 120. As such they can recharge a standard EV in 3 to 5 hours rather than the 20 or so it would take with a level 1 charging station. Level 2 charging stations are popular because they’re relatively fast, widely compatible with many different EVs and relatively affordable to install. Level 3 – The level 3 charging station is known as the “DC Fast Charger”. Typically you can charge your EV in under and hour with a level 3 DC Fast Charger. If there’s a drawback it’s that they are considerably more expensive than other charging stations and require more power. 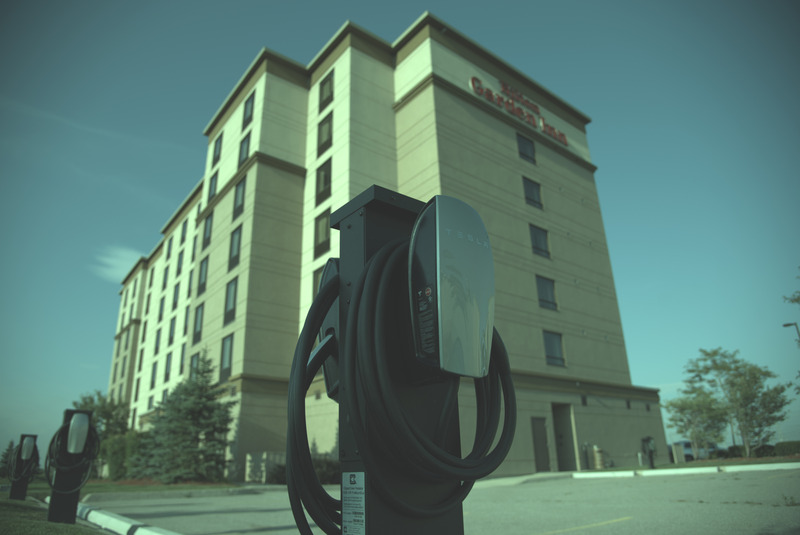 A Hotel EV Charging Station installation can enhance the profile of your hotel in many ways while also allowing you to join the growing number of environmentally responsible companies leading the way to a sustainable future.